From a family skiing perspective, the only thing more satisfying than a fun day on the hill with the kids is a ski vacation with the kids and grandparents making turns together. 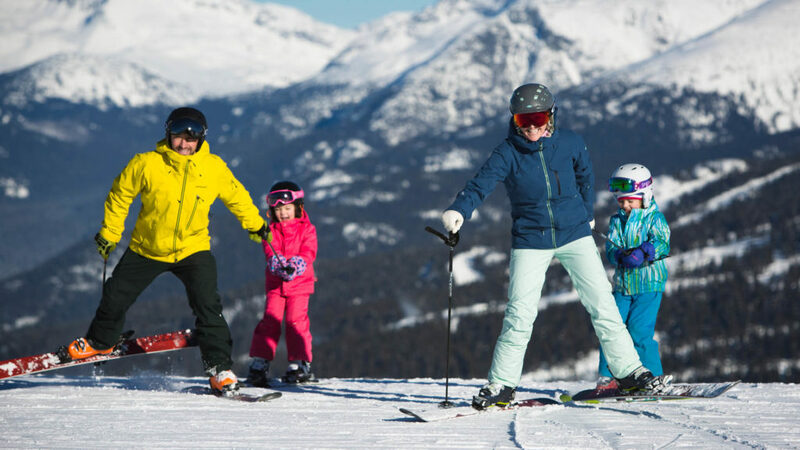 A Whistler ski vacation with the grandparents can be a fantastic way to bring three generations together through a shared mountain experience. Having done it more than a few times, however, it is also something that requires a bit more thought than simply adding two seniors to the travel reservations. Getting three generations of family on the hill together each day is going to require some coordination; don’t make things harder by staying in separate accommodation and forcing all interactions between children and grandparents to be scheduled events. The most memorable interactions tend to occur in the unscheduled portions of a family ski trip. By putting the entire clan in a three or four bedroom unit, even the typically mundane daily chores can provide quality interaction between generations. You just can’t schedule the magical memories created when Grandad unexpectedly makes breakfast in the morning or Grandma takes the kids for an après ski walk along the valley trail to look for skunk cabbage. Grandad’s porridge is always better than Mommy’s (which is generally fine by Mom if she gets to stay in bed for an extra half an hour). Similarly, no matter how much pride Dad has in his wilderness skills, that pride is happily traded for a post-ski beer, in silence, on a sunny patio. Just because a vacation property is located in Whistler Village does not mean it offers an easy walk to the lifts in ski boots. Conversely, many properties outside the Village offer slope-side access or a convenient shuttle to and from the lifts. The Upper Village is one such often overlooked area with an abundance of family-sized accommodation options. Taking a leisurely ten minute stroll to the Village for dinner in comfortable footwear is much easier than lugging two kids and four sets of ski gear the length of the Village Stroll. Yes, I know, I insist my kids carry their own gear also, but I prefer not to test my ability to enforce that rule over the distance of a typical family fun run. 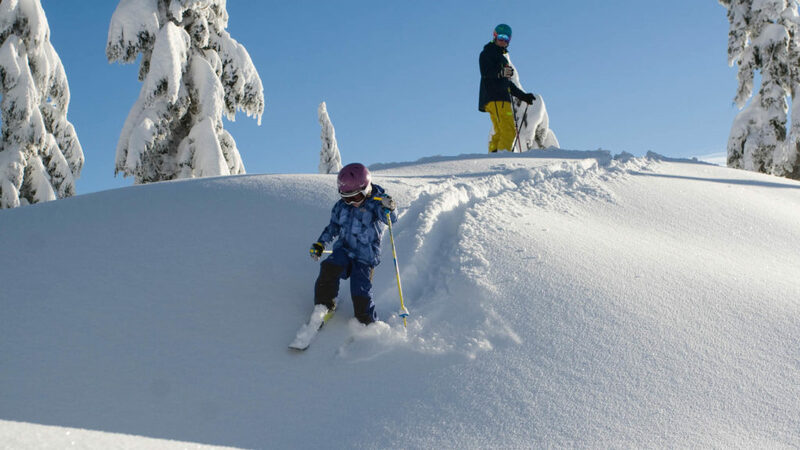 Depending on the age of the youngsters and the patience of the grandparents, you may only get an hour or two of quality on-hill time each day before the family bliss subsides. Don’t waste half of that time uploading the mountain together. It is going to require considerable effort to get a young family out the door and to the lifts on schedule each morning as it is. Don’t punish yourself by trying to accommodate the morning routine of two seniors in those efforts. Grandparents can get themselves up the mountain without assistance so set a time and place to meet in the alpine. Both the Roundhouse and Rendezvous Lodge make ideal meeting places as both allow an abundance of skiing options without the need to ride another lift. Don’t over schedule your ski days. Remember that above all this is supposed to be a family vacation. The goal is to give all three generations a positive and memorable week skiing together. By next Christmas, no one is going to remember how many runs they did together. Yet, if everyone enjoys their time on the hill, they are going to want to ski together again. A realistic goal for one day may be to meet the grandparents at the Roundhouse as they finish lunch, do at least one run together, and plan to have dinner together back at the condo in the evening. If things go well and you end up doing three runs through the Family Zone and riding the Peak to Peak over to Blackcomb together, fantastic. Just remember, kids can get cold and tired quickly, and grandparents can get bored or lose patience. One or two quality runs, documented with a few snapshots, is enough to make lasting memories for young and old. 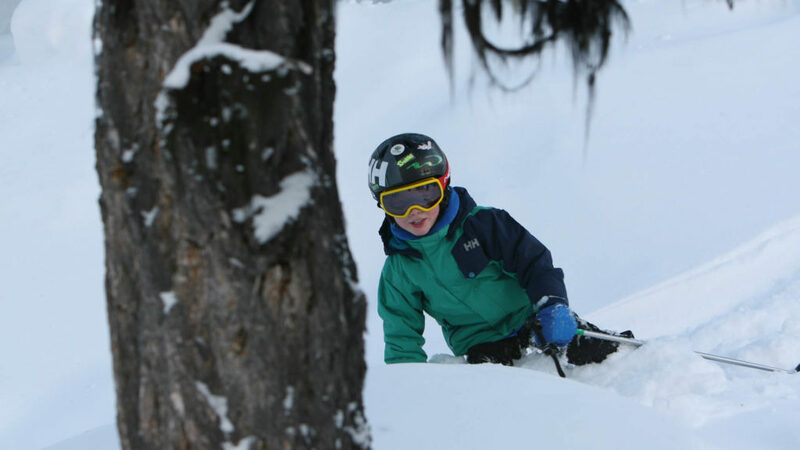 Skiing is a sport enjoyed by those of all ages, but only when three generations share a skiing experience does it become an ultimate family sport. 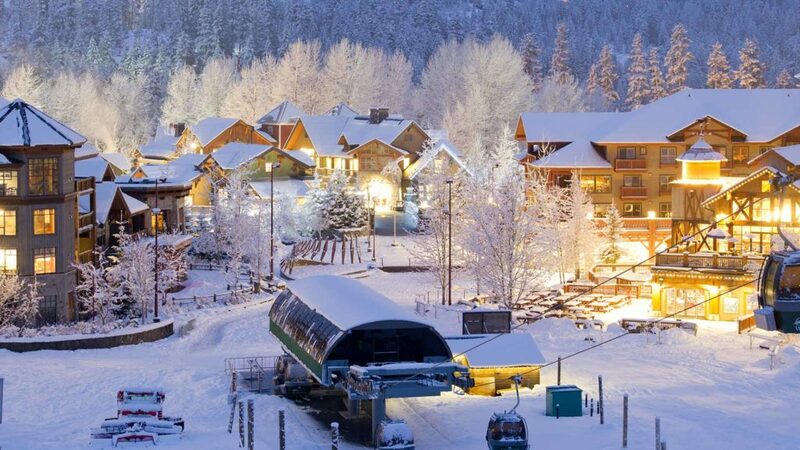 With a little thought, a trip to Whistler can be a magical experience for the family and extended family alike.